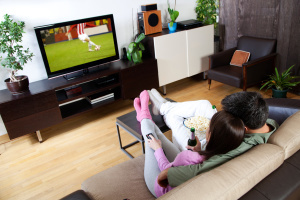 Television has been a large source of entertainment in most households for decades, but recently, there’s been a lot of talk about the cost-saving benefit of getting rid of a monthly cable or satellite bill in favor of streaming services like Netflix, Hulu Plus, Amazon Prime, etc. The more you hear about it, the more it may start to sound like a good idea to you too, but are you really thinking about the big picture? There are a few different things you’ll want to seriously consider before you make the decision to cut ties with your Greensboro Dish Network provider. The main reason many have eliminated their cable and satellite packages is to save money. If keeping more in your bank account is really your primary focus, it’s important to weigh out all the options and not just fall for the $8 price tag attached to Netflix and Hulu Plus. First off, whether or not you currently have a bundled package with your provider, chances are your rates for internet and phone are going to change when your TV subscription is canceled. You will also probably have to upgrade your internet service in order to accommodate for the streaming services you sign up for. In addition, most people find that just one streaming service doesn’t have all their favorite shows, making it necessary to subscribe to several different ones. Once you start adding up the costs of each individual service plus top-notch internet, you may find yourself spending just as much, if not more, as you were in the first place. We’ve become spoiled in our television watching experiences as TVs have gotten larger and larger over time, which can make it really difficult for some to take a step back and watch from their laptops, tablets and smartphones. These smaller devices don’t present the same quality or detail that you get from a big screen. Sports fans (and those who care anything about their local news) suffer one of the biggest drawbacks of no longer having live TV. There aren’t many options as of yet when it comes to sporting events offered on streaming devices, so if this is something you aren’t willing to give up, cutting the cord probably isn’t for you. Otherwise, you’ll have to come up with solutions that involve making yourself a regular at the sports bar in town or imposing on your friends who still have access to the games. Another thing you’ve probably become accustomed to is the ability to watch your Dish Network programming whenever the time is right for you and skip right through the commercials. DVR has made this all possible, but that all goes out the window when you limit yourself to an antenna that can only play you live TV. On-demand streaming services still allow you to watch when you want for the most part, but there’s no getting out of sitting through periodic advertisements. Just because you might know other people that have moved on from cable and satellite doesn’t mean that it’s the best choice for you. Keep these points in mind as you explore your options and remember all the things that your Greensboro Dish Network provider can offer to enhance your viewing experience.